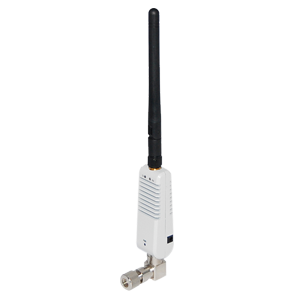 The APA05 is a handy WiFi antenna amplifier from ALFA Network with interchangeable 2,2dBi antenna and 800mW maximum output power for direct mounting on the WLAN access point / router. With the APA05 antenna amplifier, you can easily amplify the transmit and receive power in your wireless network. There is no need to replace your devices - you do not need any additional software or device drivers - just connect and improve the signal strength of your Wi-Fi network. To do this, connect the APA05 to the antenna connector of your router instead of an external antenna. The antenna amplifier is compatible with all common WLAN standards and amplifies both the received and the transmitted signals.